We would like to take this opportunity to wish all of our customers, clients and suppliers a Merry Christmas and a Happy New Year. Aircraft maintenance and reduced operations will continue over the holiday period. The office will be closed from December 21 and re open on January 7, 2018. Air Affairs Australia was recently engaged in supporting the bushfire emergency in Queensland. 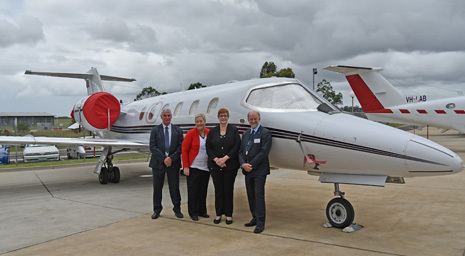 Under the current contract arrangement with the National Aerial Fire-fighting Centre (NAFC), supported by the NSW Rural Fire Service, both a Learjet and Kingair aircraft fitted with customised Infrared Linescanners were deployed into Queensland. The aircraft used to provide a wide area intelligence gathering capability. 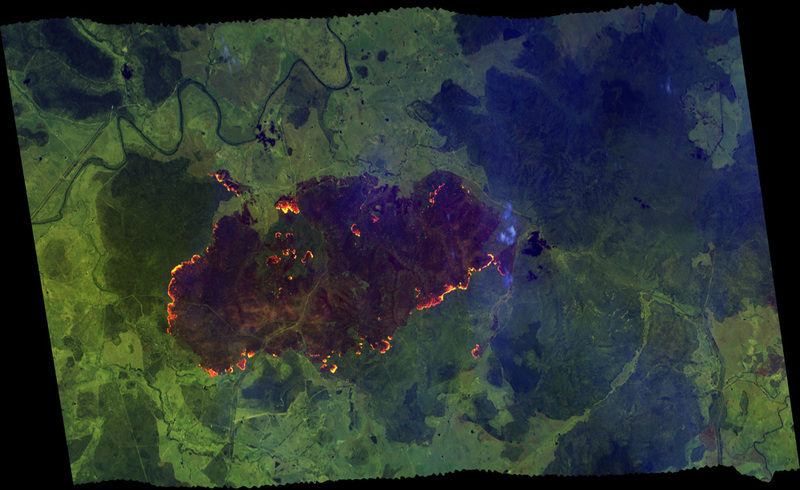 Due to catastrophic fire conditions in Queensland, the need for rapid wide area fire intelligence was logistically critical in supporting ground fire-fighting crews, whilst additionally monitoring remote area bushfires. 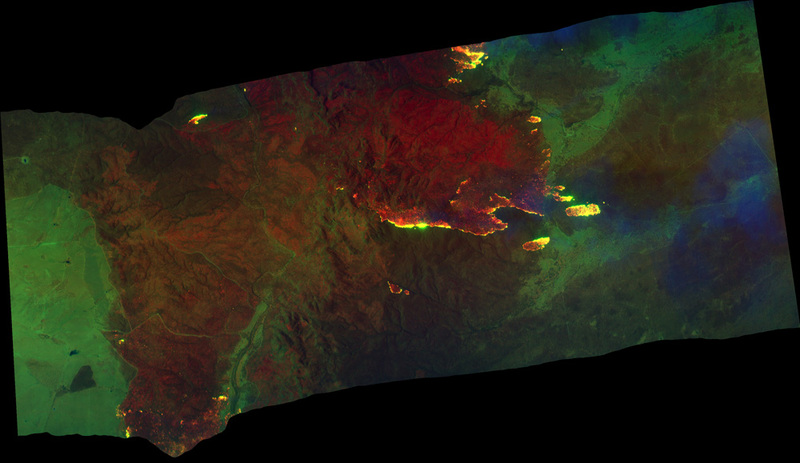 The imagery delivered during both day and night-time flight operations, provides imaging of the ground, clearly defining active fire and burnt terrain through dense smoke. Both aircraft were actively utilised during the near week long deployment, achieving extensive fire area coverage over vast distances throughout the state. 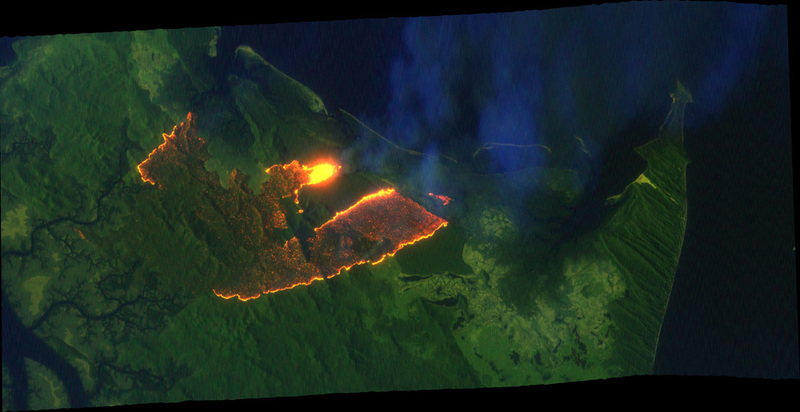 A total of 40 flight missions were flown, delivering a total of 192 detailed fire images. 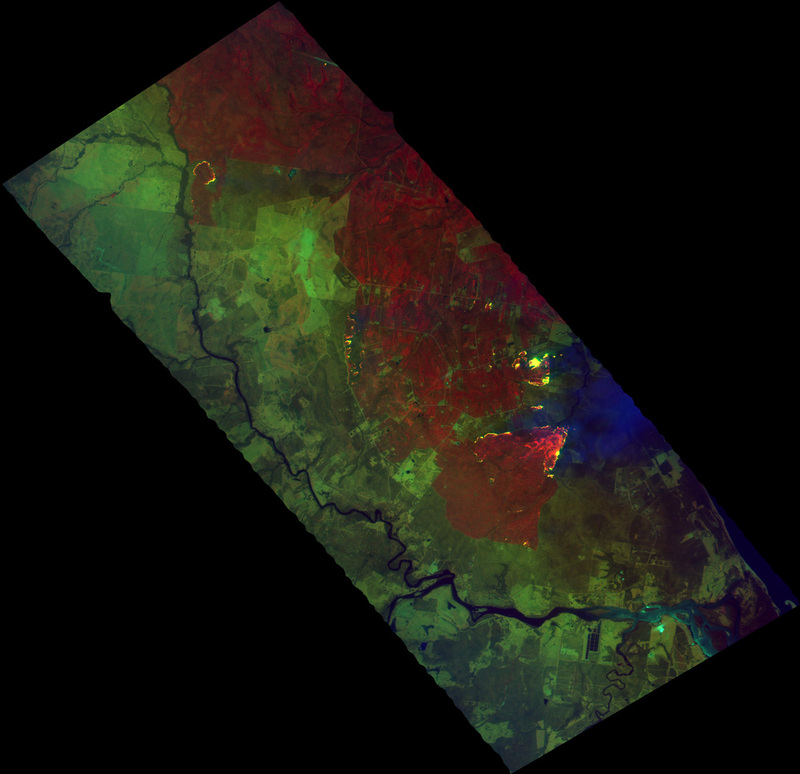 With transmission of image data direct from the aircraft via satellite, the imagery was delivered to the QFES State Operations Centre for near real-time utilisation. The information then made available through the QFES state-wide emergency mapping system for regional usage. The recent unprecedented bushfire emergency in Queensland, combined with the extreme bushfire emergency in NSW toward the end of Winter, clearly suggests that climate change is having a serious impact on the severity and predictability of where and when bushfires will occur in Australia. This is the first time Air Affairs have provided the unique airborne service, to such an extent, for the Queensland Fire & Emergency Services (QFES). 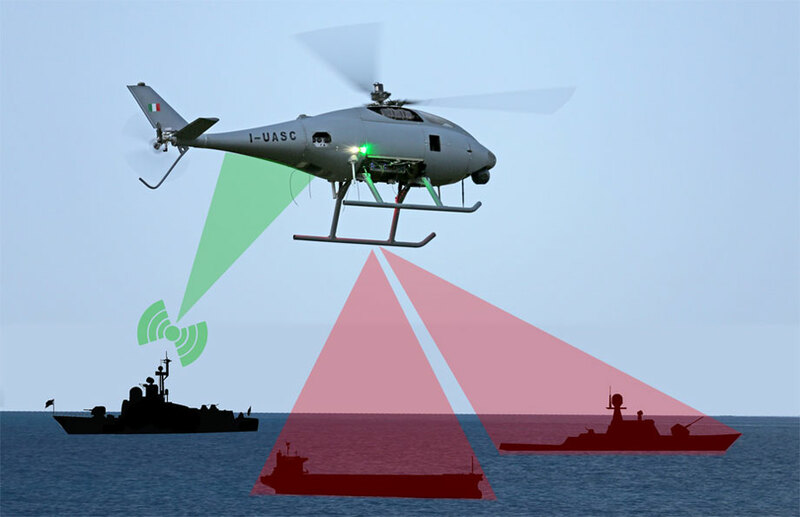 It has highlighted the efficiency and benefit of a truly national emergency intelligence gathering capability. 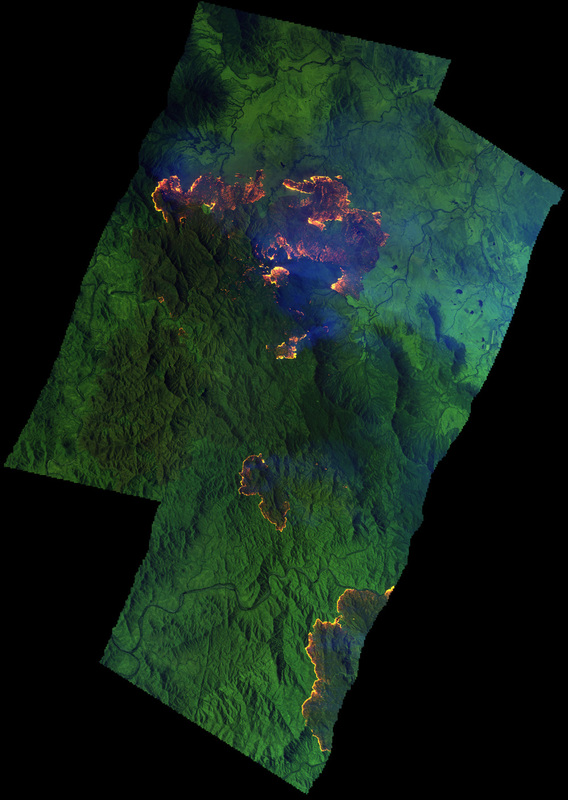 Below is a map of Queensland showing some of the fires we have created fire scan images. 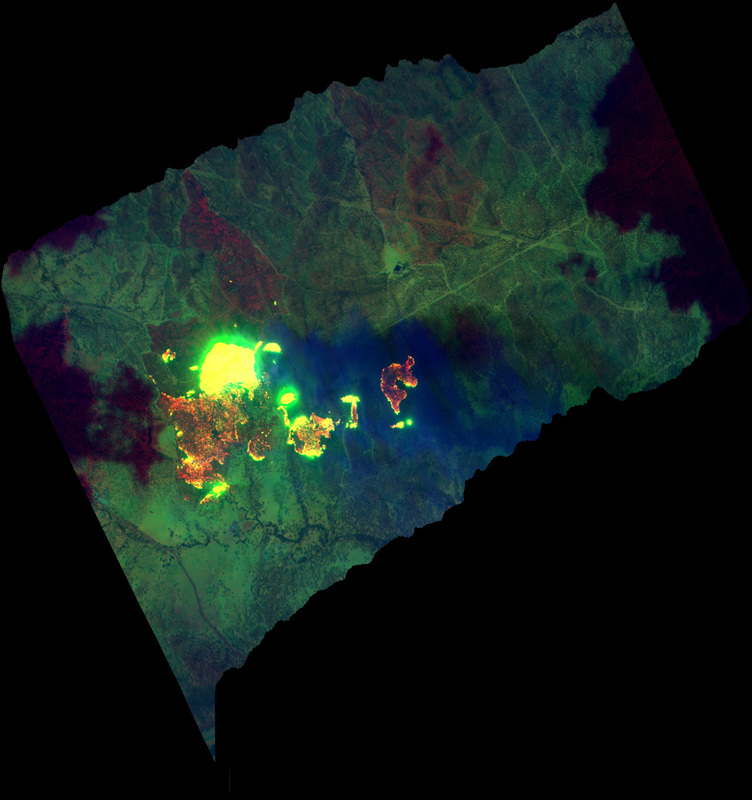 If you click on a fire name a line scan image will open, showing more detail of the imagery we create with our system. 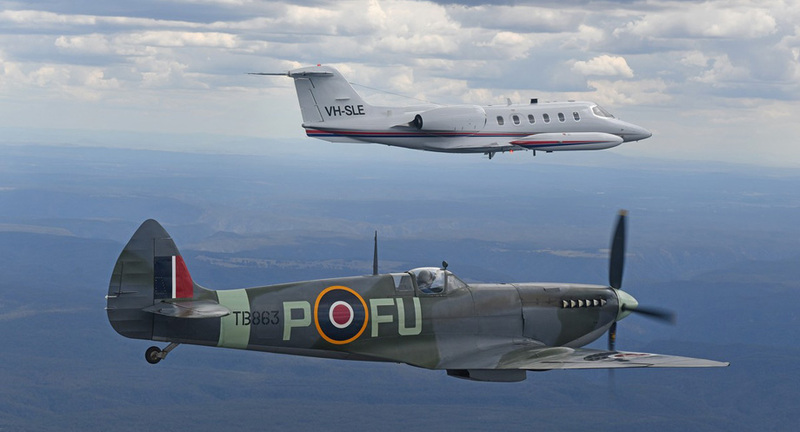 Air Affairs Australia took the opportunity to fly one of its learjet 35 aircraft in formation with a Supermarine Spitfire Mk XVI that was visiting HMAS Albatross from the Temora Aviation Museum. This Spitfire is one of only two flying Spitfires in Australia – both of which are owned by, and based at, the Temora Aviation Museum. 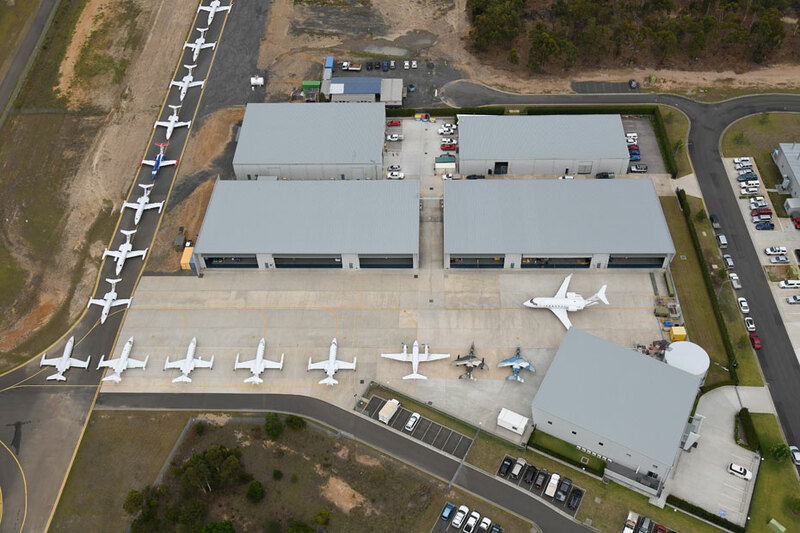 Air Affairs Australia has recently acquired Aerospace Training Services to further strengthen its position in Australian Aviation. This will allow Air Affairs Australia to expand their area of expertise and pursue more complex activities both within Australia and abroad. We will be able to offer future customers both product and qualified training that meets regulatory requirements heading towards our goal of providing customers a one stop shop. We already have our first group of International students starting a training course in 1Q 2019 and it will also reduce Air Affairs Australia’s training burden by bringing staff training in house and much needed and vital training support to Aerospace Training Services. Aerospace Training Services provide initial aviation training to young people through its innovative Higher School Certificate programs, aviation traineeships, external studies for long distance students and its apprenticeship training programs, and more recently the eLearning online platforms which allow even further flexible delivery options for students and employers. Aerospace Training Services provides quality aircraft maintenance training from Pre-Apprenticeship level through to aircraft specific Types Courses. Certificate level range from Aeroskills certificate II through to Diploma level in Mechanical and Avionics. Aviation certificate III (specifically flight attendant training) and industry specific training including human factors, de-icing, refueling and life-support fitting. Click here to go to the Aerospace Training Services website. Air Affairs Australia attended the Aerial Firefighting Asia Pacific conference in Wollongong in August as an exhibitor and a bronze sponsor of the event. The Air Affairs team had an exhibit set up in the main exhibition area with staff on site to discuss fire scan operations and their Breeze Eastern Rescue Hoist repair centre capability. 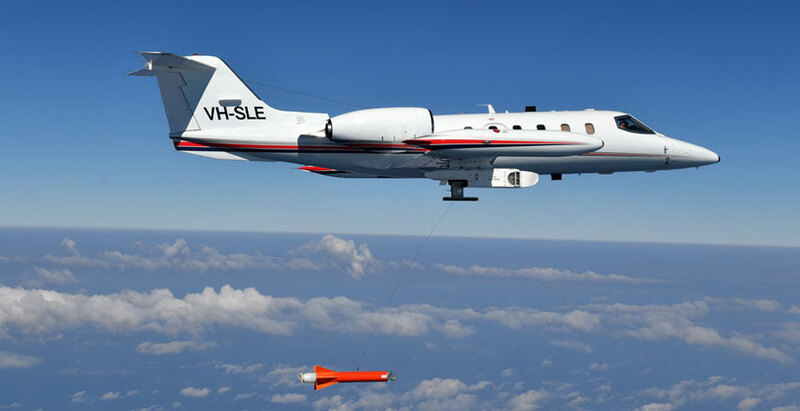 Through the National Aerial Firefighting Centre (NAFC), Air Affairs provides Airborne Strategic Intelligence and Reconnaissance (ASIR) services for NSW and Victorian fire and emergency management authorities. Air Affairs has been providing ASIR services in Australia since 1994. 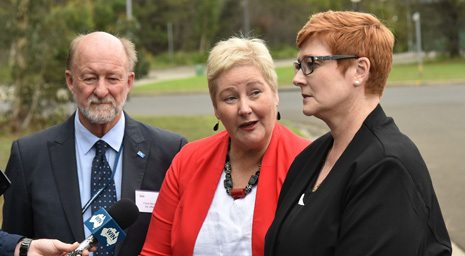 In recent years, the company committed to developing and further enhancing the ASIR capability, specifically for bushfire and other emergency operations. With focus on systems developed for fast, high altitude platforms, the service provided uses multiple Learjets as primary response aircraft. Air Affairs Chief Pilot Andrew Edwards spoke at the conference, giving an talk titled "Flying the Line" based on an actual bushfire mission explaining the processes and Air Affairs bushfire mapping capabilities . Special Mission Learjet flying has commenced for Exercise Pitch Black 2018. Air Affairs Australia has based seven Learjets and 28 personnel in Kununurra to support the exercise. AAA aircraft are employed as “Red Air” or adversary forces, that is “the bad guys” for the exercise. Kununurra offers a suitable airfield conveniently located to the west of the exercise airspace and allows the Learjets to efficiently transit to and from exercise missions. The locality of the airfield aids to the realism of the exercise. It is the first time AAA has deployed to Kununurra, and we have appreciated the support and services provided by the airport staff and local community. Exercise Pitch Black is a biennial three week multi-national large force employment exercise conducted from RAAF Base Darwin and RAAF Base Tindal. The exercise hosts up to 4000 personnel and up to 140 aircraft from around the globe and will include day and night flying. Click here to visit the Air Force Exercise Pitch Black website. 7 Air Affairs learjet aircraft will participate in Exercise Pitch Black which will be held from 27 July to 17 August 2018. 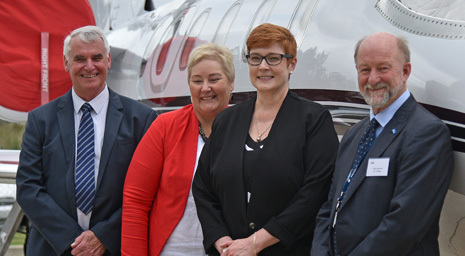 Air Affairs learjets will be based at Kununurra and will be used to provide training support tasks including tactical flight missions in support of the Air Force. Air Affairs Australia is currently updating the paint scheme on its fleet of Learjet 35 aircraft. This scheme update will see the entire fleet in identical colours. Two aircraft have already been completed. VH-SLE in its new colours pictured below on a recent target towing operation. Air Affairs Australia Learjet 35A VH-SLE in new company colour scheme. 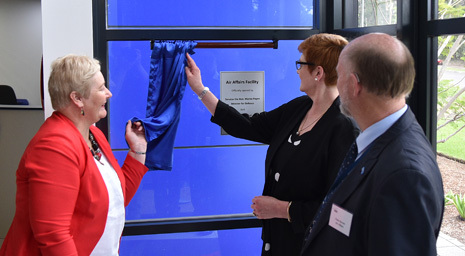 Minister for Defence Senator Marise Payne and Gilmore MP Ann Sudmalis visited the Air Affairs Facility at the Albatross Aviation Technology Park on Friday March 23 and officially opened the new head office building. 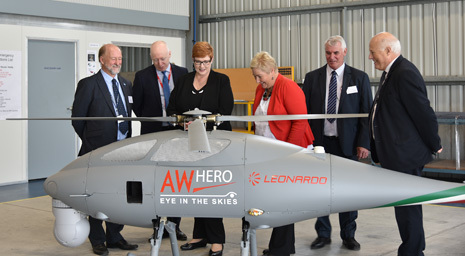 The Defence Minister was briefed on the Leonardo AW Hero unmanned helicopter that was on display and also had a tour of the Air Affairs facilities and was shown the many defence related capabilities the company provides. 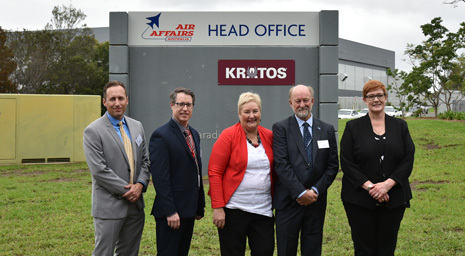 Minister for Defence Senator Marise Payne and Gilmore MP Ann Sudmalis were introduced to representatives of Kratos which has opened an Australian office at Air Affairs. 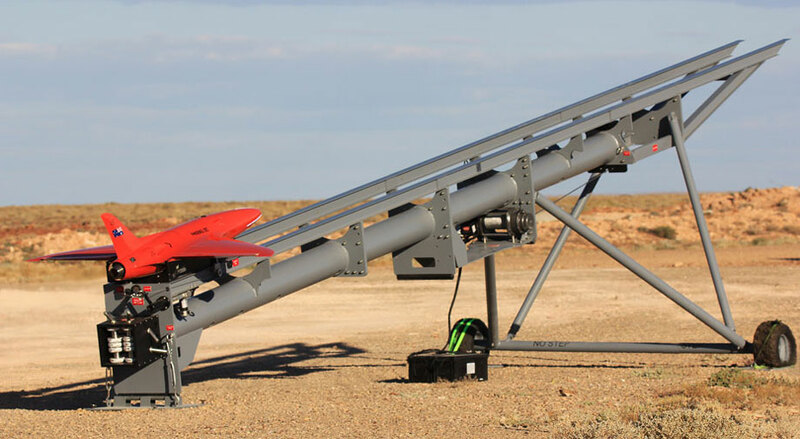 Air Affairs Australia and Leonardo will be displaying the latest generation rotary wing UAS at Air Affairs Australia facilities at Yerriyong NSW from 15 to 23 March 2018. Should you wish to view the display and have a briefing on the AWHero please contact Dennis Hinds on +61 (0) 488 016 144. The only OEM that designs and manufactures both the Air Vehicle and Payload Options to ensure lowest risk for systems integration as well as the flexibility of underbelly and nose payload configurations which will not impact Centre of Gravity envelopes, fuel payload and range. Modular architecture to ensure easy interface to existing user networks. Fully maintained, operated and supported by Australian Industry enabling new Defence Export opportunities for Air Affairs Australia . Pilot training and aircraft maintenance has continued over the Christmas / New Year low activity period and full operations recommenced on Monday January 15th. Air Affairs operates a fleet of Learjet 35 and 36 aircraft to provide Jet Aircraft Support for Australian Defence Force training. 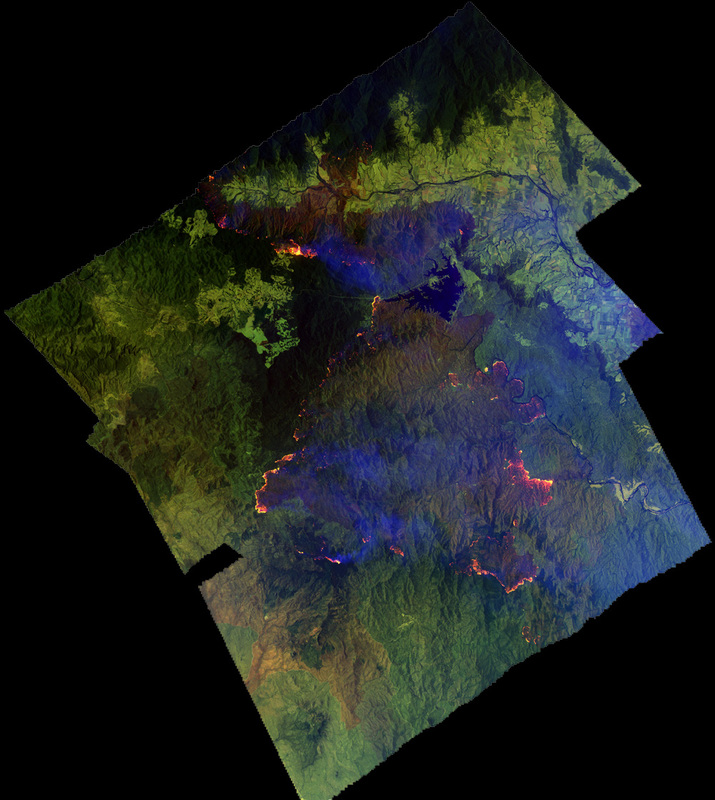 They also provide Airborne Bushfire Reconnaissance services and flew several scanning missions capturing line scan imagery of bushfire activity over the christmas/ new year period. Representatives from Air Affairs will be attending the Singapore Airshow which is being held at the Changi Exhibition Centre from February 6 through to February 11. If you would like to catch up with our representatives at the show, please contact us to arrange a meeting.